And, as the only source for FREE complete Industry Standard Compliant data to approved Receivers, we don’t restrict the amount of data available to you! Get ALL the data, ALL the time with no hidden charges or “upgrades”. CargoGlide is committed to the success of our dealers/distributors. Our data load sheets are available to you for free on the ASAP Network. Please take a minute to create your dealer account on the www.asapnetwork.org site. You can then request our data load sheet with a click of a button. The data load sheets include all fields you’ll need to import our line onto your website. Images are available in URL or Zip file and are named to the parts they are associated with. Video links are included for each part to include in your product display. Your pricing tier along with retail and map is included in the data sheet. After you’ve requested the data you will automatically receive an email when there are changes to our line. ASAP is available to help you with any questions you have about the actual importing of our line to your site. This is a quick, easy, free service to you. 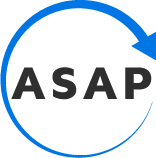 Please create your account at www.asapnetwork.org now and click Request Data under our Brand name.